Today we are proud to welcome Yale University to Coursera’s network, bringing the total number of educational partners offering courses on our platform up to 70. 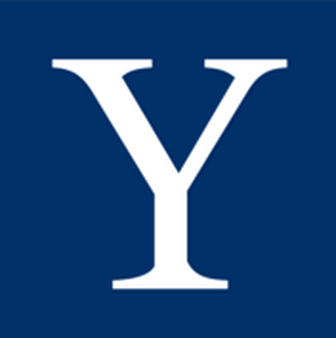 Yale has long supported open education, particularly through its initiative Open Yale Courses, and we are pleased to partner with them to extend their knowledge to the millions of Courserians around the world, for free. • Roman Architecture, taught by Diana E. E. Kleiner: Dunham Professor of History of Art and Classics. This is a course for people who love to travel—in actuality and virtually—to a wide variety of places and we will do that together as we explore the great buildings and engineering marvels of Rome and its vast empire in their ancient and contemporary contexts. • Financial Markets, taught by Robert J. Shiller: Sterling Professor of Economics. This course will provide an overview of the ideas, methods, and institutions that permit human society to manage risks and foster enterprise. • Moralities of Everyday Life, taught by Paul Bloom: Brooks and Suzanne Ragen Professor of Psychology and Cognitive Science. How can we explain kindness and cruelty? Where does our sense of right and wrong come from? Why do people so often disagree about moral issues? This course explores the psychological foundations of our moral lives. • Constitutional Law, taught by Akhil Reed Amar: Sterling Professor of Law and Political Science. An introduction to the main themes of the American Constitution—popular sovereignty, separation of powers, federalism, and rights—and to basic techniques of constitutional interpretation. “We’re delighted at the opportunity to work with Yale as they continue to build on their leadership role in the space of online education and expand the reach of their knowledge and expertise to a growing community of global learners,” said Coursera’s Daphne Koller. To find out more about the courses, and to sign up today, visit Coursera.org/Yale.